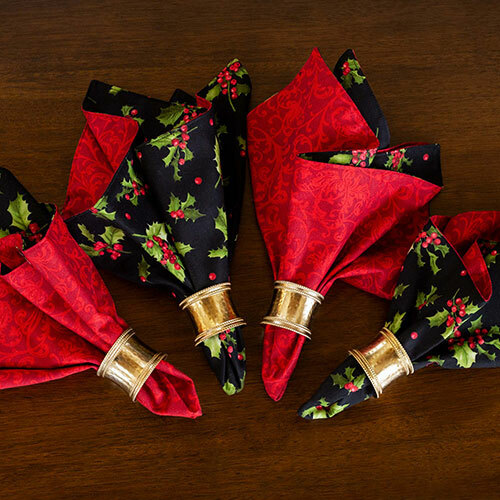 We love giving gifts to people we care about, and a nice bottle of wine is a great gift to receive. 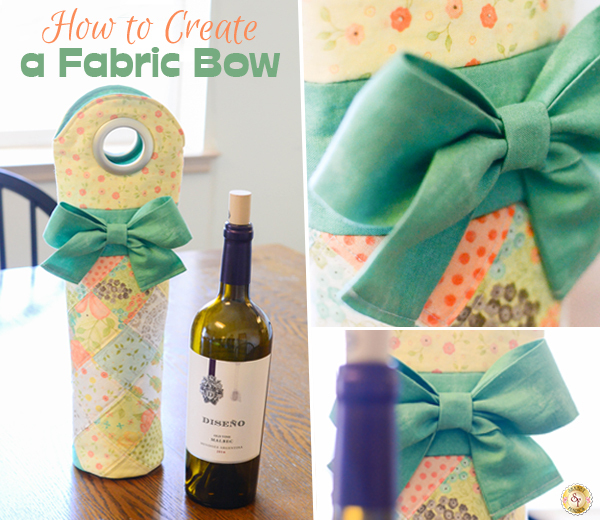 To make the gift a little more special, and to put your own personal touch on it, why not make a cute fabric wine bottle tote to go with it? These are a great way to share your love of handmade things, and it's a green option that can help cut down on waste. 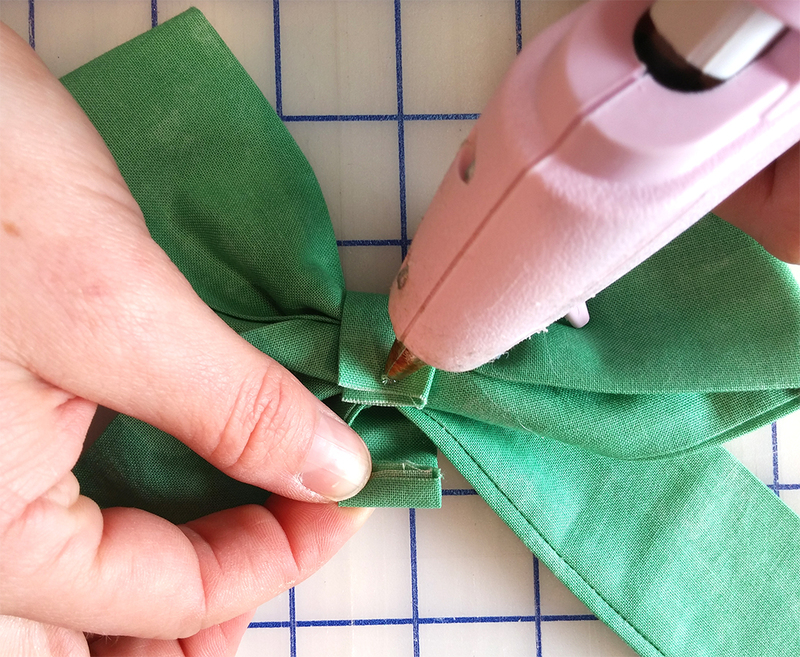 One of our favorite things about the bag is the adorable fabric bow that adorns the top, so we thought we'd show you how to make it in today's tutorial! 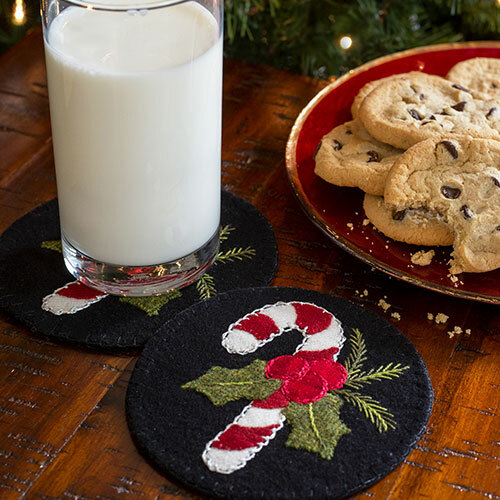 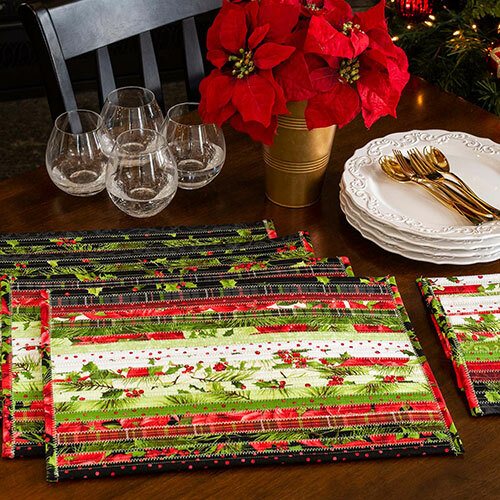 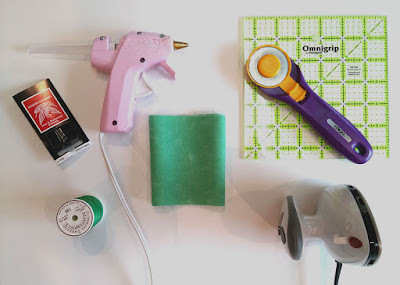 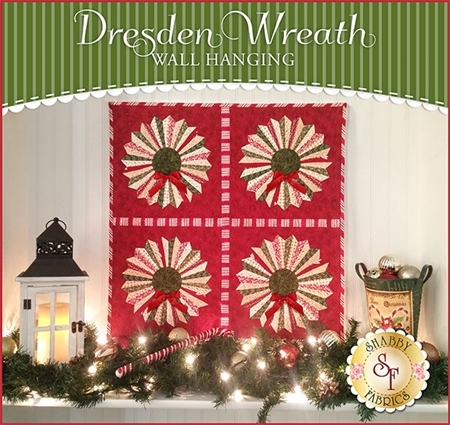 This project is perfect for DIY Christmas gifts for your friends, family, neighbors, or coworkers. Who wouldn't love a nice bottle of wine (or sparkling cider for non-drinkers) in a handmade fabric tote that they can use over and over again? Watch the video to learn how to make the tote, and read this post for steps to create the fabric bow. 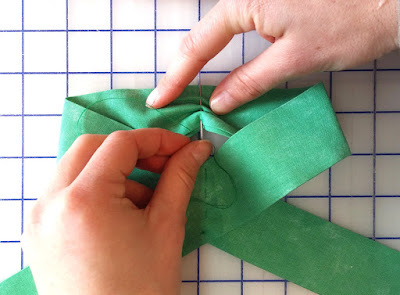 After choosing your desired length, make your cuts for your Bow fabric. 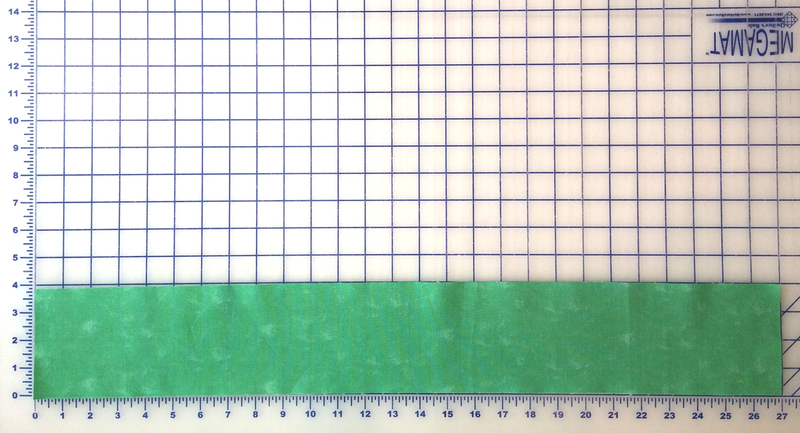 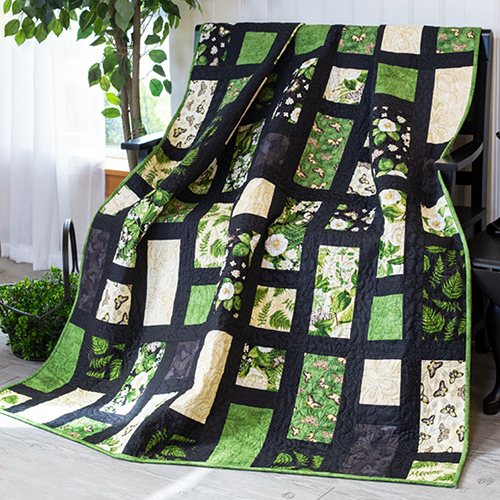 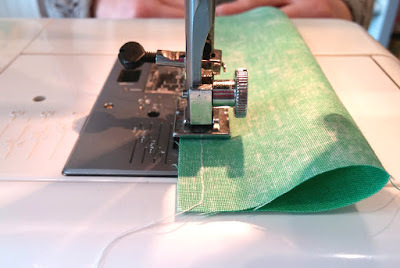 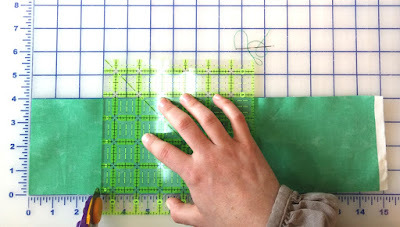 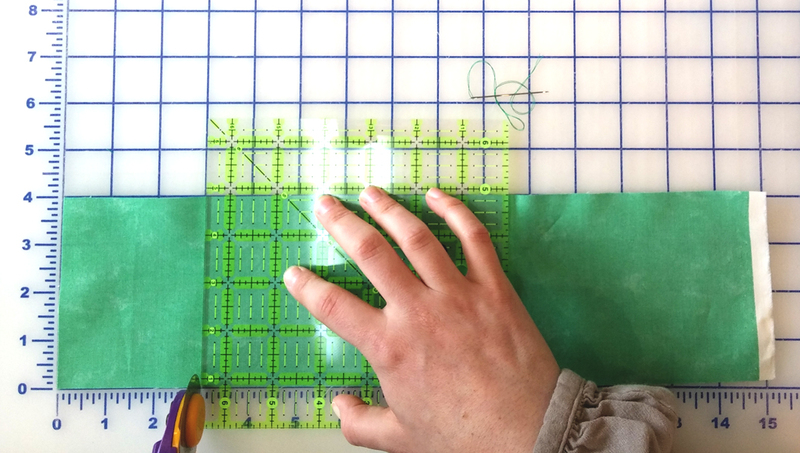 Sew along raw edges with a ¼” seam allowance. 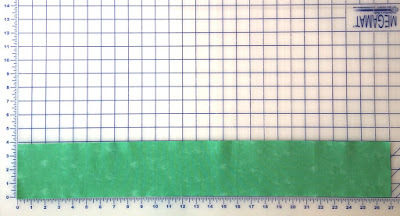 Turn Right Side Out through one of the open ends and press flat, with the seam along one edge. Tuck in the raw edges by ¼” on each side and press, take it to the sewing machine and sew a ¼” seam allowance on both ends. 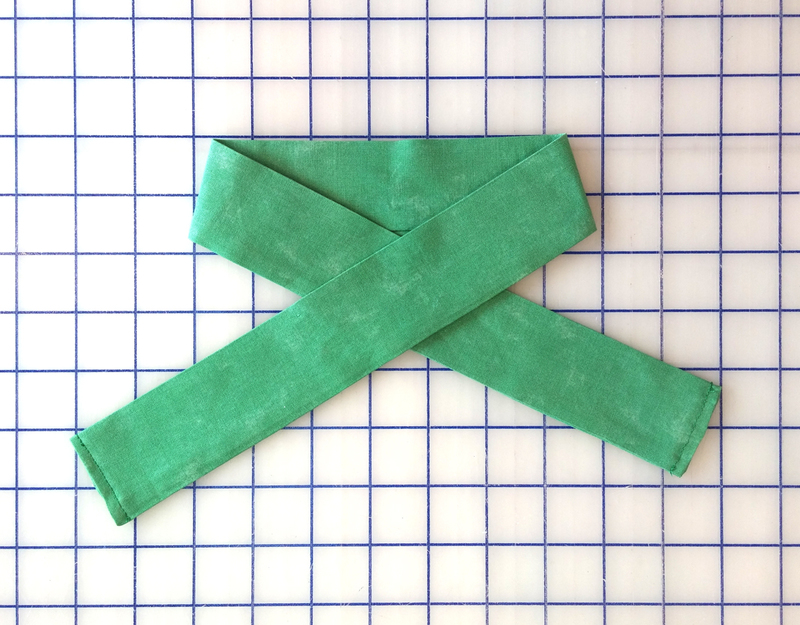 Lay out your fabric on your mat and find the center, then fold each end across and down to create the shape shown below. 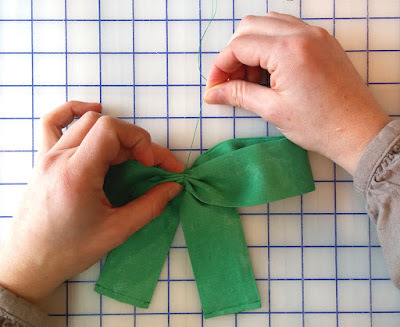 Take a thread and needle and begin a simple basting stitch up the center of the bow. 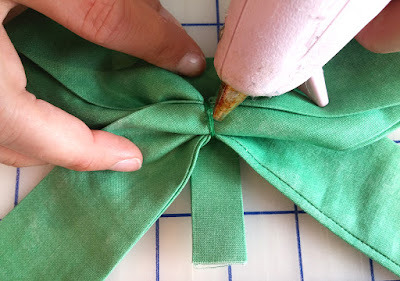 Continue the basting stitch onto the top half of the bow, making sure to sew a straight line up the middle. This is what the bow will look like once you have sewn your basting stitch up the center. Holding onto the top of your thread and pulling gently, gather the fabric in the center of your bow. 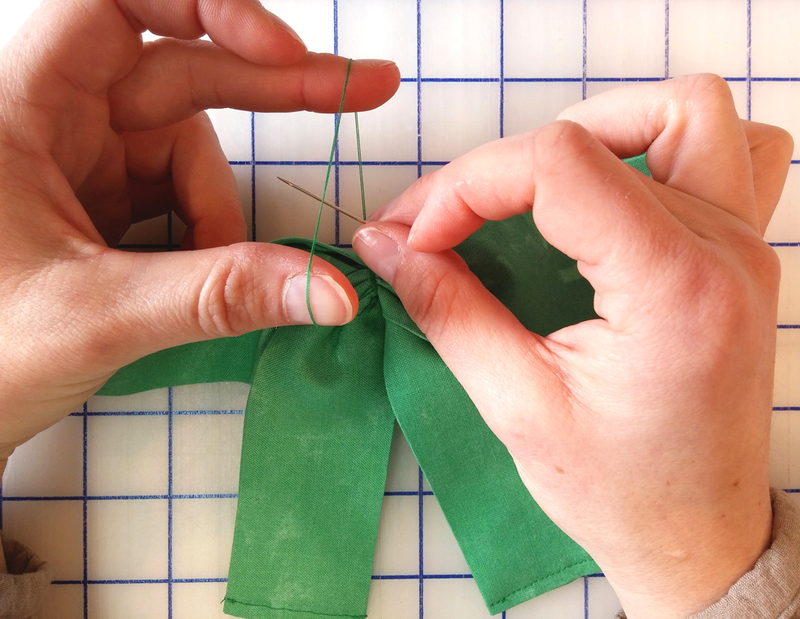 Begin tightly wrapping the extra thread around the center of your bow several times. Once you have tightly bound the center of the bow, knot off of the end of your thread to secure it in place. 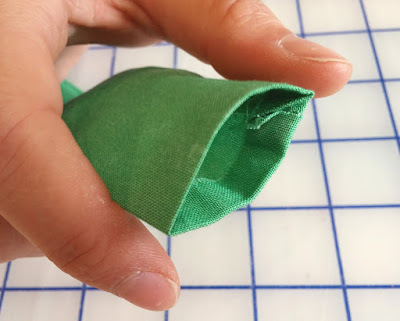 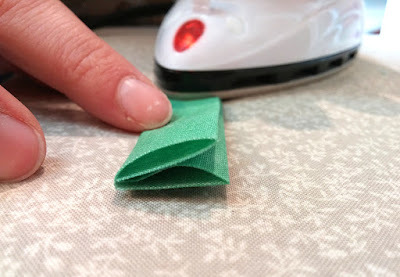 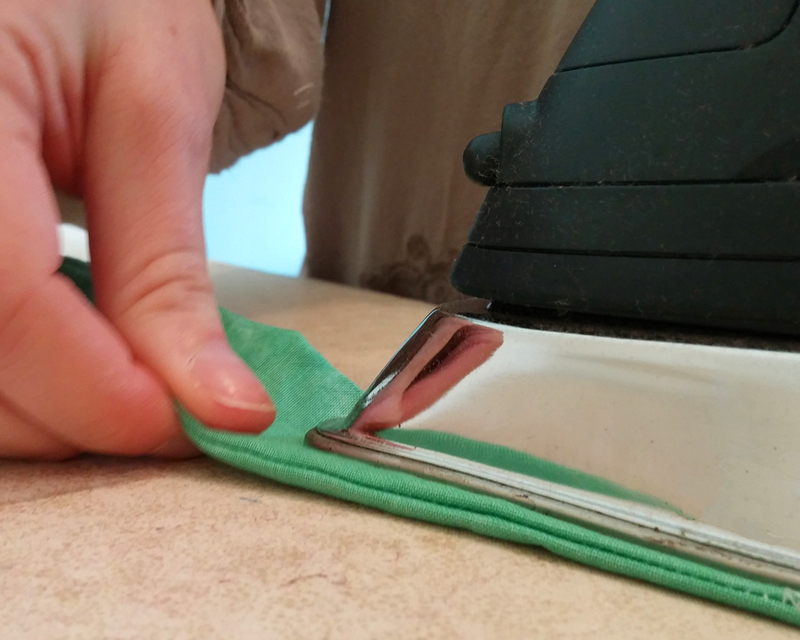 Fold your knot fabric in half Right Side Out and press, the open up the fabric and fold the raw edges toward the center and press again, then fold in half again and press (last step shown below). 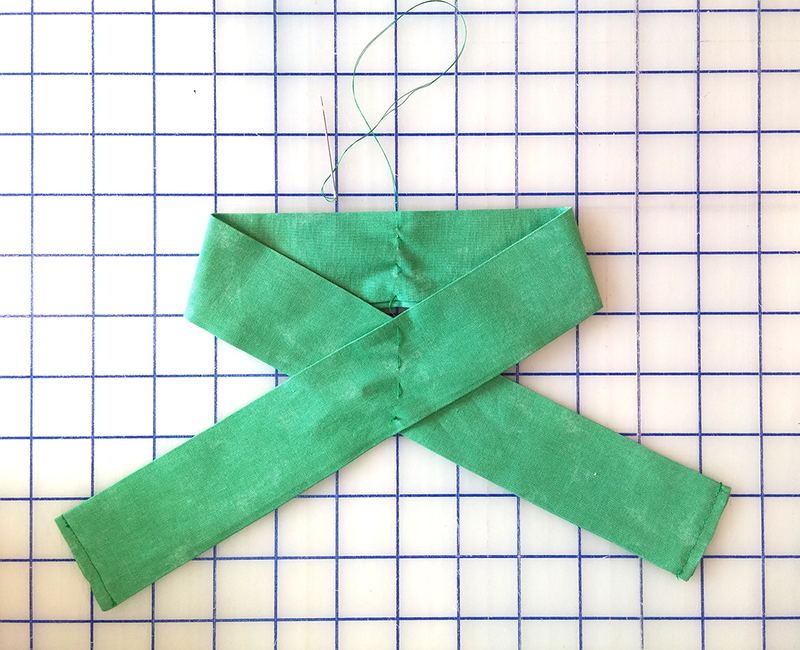 Place a dab of hot glue on the center of the backside of your bow and fold one of the raw knot ends over and press into place. 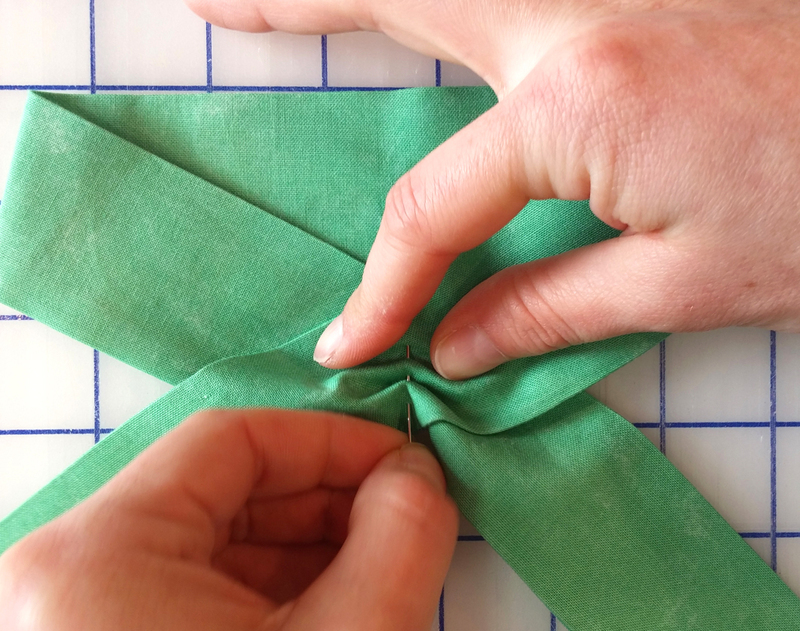 Finish your bow by folding under the other raw edge of your knot and gluing it in place on top of your previously glued piece. 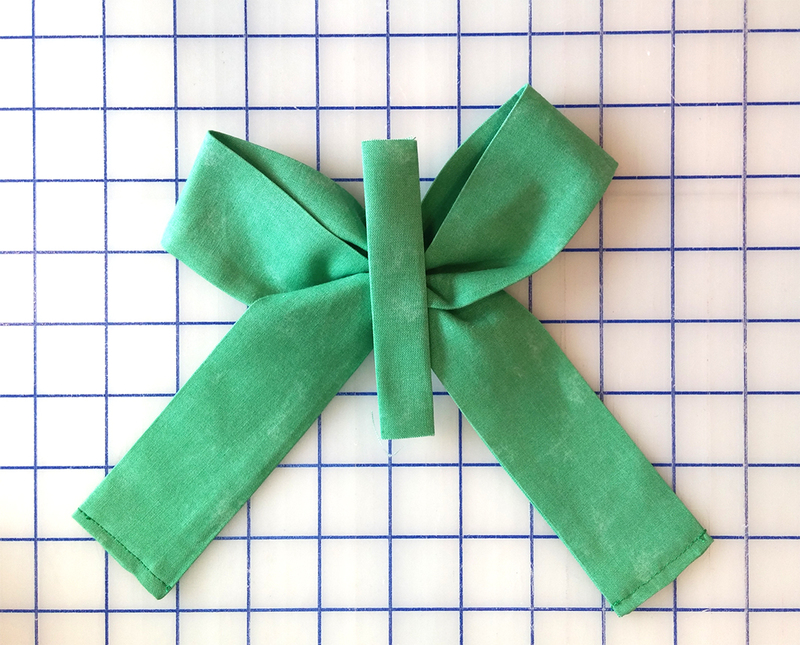 You have made the perfect fabric bow for a cute addition on any project!